Learning from and with others is a privilege. I was part of a an International team who ran an #Appsharelive session last week where we showcased one of our favourite apps for learner impact and teacher development. The session was hosted by Mark Anderson @ICTEvangelist who did an amazing job with keeping us to our allocated 5 minutes, as well as sharing some of his favourite apps for impact too. I met for the first time some new colleagues in the world of education. Dominic Trainer @ATaleUnfolds, Richard Wells @Eduwells who was checking in from New Zealand, Limor Harari @lime_su from Israel, Rachel Smith @lancslassrach from the Isle of Man, Joe Dale @joedale here in the UK and myself popping up from South Wales. Not only was it fantastic to meet new educators from around the world, but I also learned a great deal about their own interest and impact using apps, a couple which I hadn’t come across before. Richard Wells @Eduwells shared with us Pixel Press Floors app where you can mix analogue with digital learning. 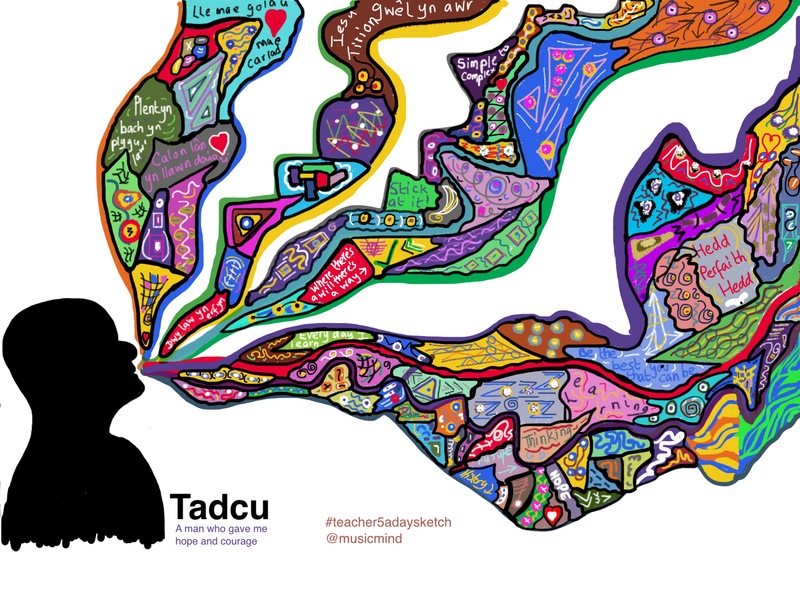 Rachel Smith @lancslassrach took us on a magical journey using Paper by 53 app which is FREE. Limor Harari @lime_su shared with us the amazing world of Augmented Reality demonstrating Quiver Edu. Please note there is also a basic Quiver app which can be confused with the Edu version. This one you can find here. We then came to my slot where I shared the power of using the app Flipink with learners and the impact it can have with changing the paper backgrounds for Special Educational Needs (Learning & Living Differences as I like to call it) The app allows you to insert text, change the paper and backgrounds, insert photos and annotate, as well as an amazing art pallette to work with. 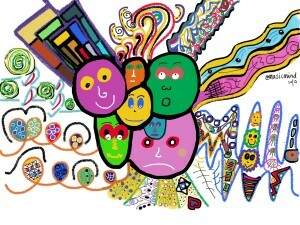 Here are some examples of #sketchadoodles I created with the app. 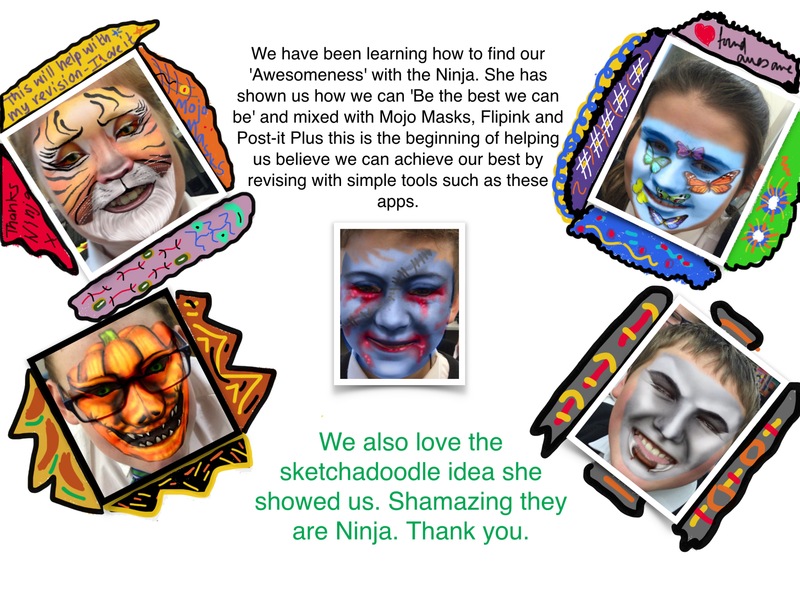 With some learners they used Mojo Masks which is also an iPhone app and inserted as part of a revision tool where you can revise using video and photo. A quick interactive session with Mark Anderson @ICTEvangelist demonstrating PingPong Spot Networking app with some of us showing how live feedback and assessment can be extremely powerful. He followed this with a great video clip using Explain Everything app which is quite spectacular. Joe Dale @joedale took us to an audio based app Opinion. A way of editing audio tracks easily in class and for learners. 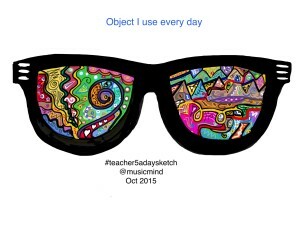 Below is a quick #sketchadoodle I made following the session using the Flipink app to show you how you can maximise the different usages within the app. I also used a Pencil by 53 to draw the intricate doodles. It was quite an amazing morning of learning from and with each other with an International focus on sharing and looking at learner impact using these apps. You can watch the full version of #Appsharelive here on YouTube or click below. So, all in all a pretty amazing morning of not just taking part and sharing one of my favourite apps but also learning a tremendous amount from others. Developing and growing your own Professional Learning Network is essential in Education if we are to best meet the needs of all learners. 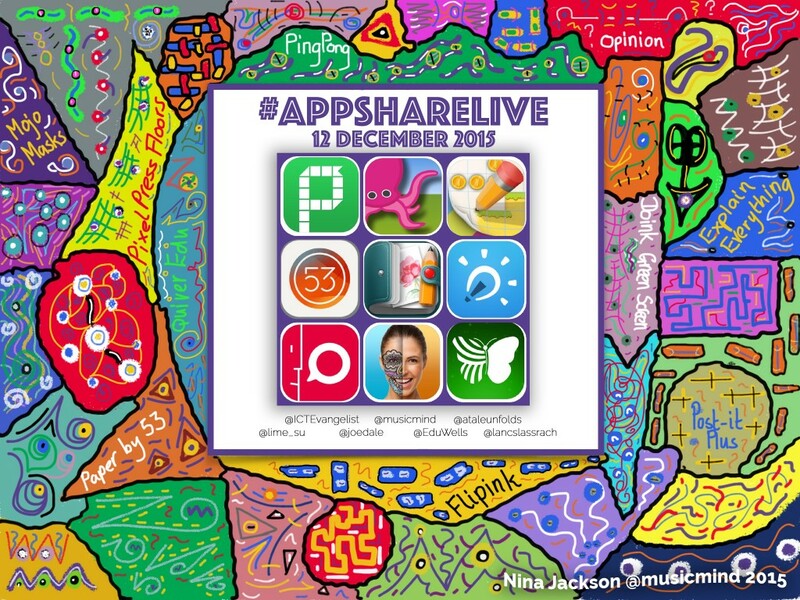 For now I shall bid you an ‘Over and Out’ and wish you all ‘App(y) Christmas and look forward to the next #Appsharelive which is scheduled for January 9th 2016.